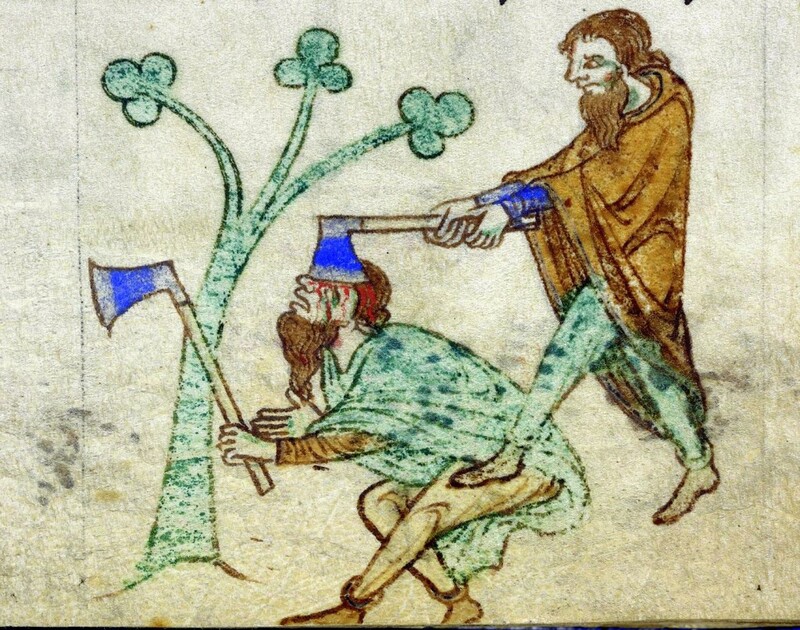 The Irish Annals indicate that during the early medieval period (c. AD 450 -1150) Ireland was at times a very violent place. Just how brutal life could be during this period was starkly illustrated by the results of an archaeological excavation at Raystown in Co. Meath. Carried out under the direction of Matthew Seaver, this dig uncovered a large early medieval cemetery that contained the remains of at least 90 burials. 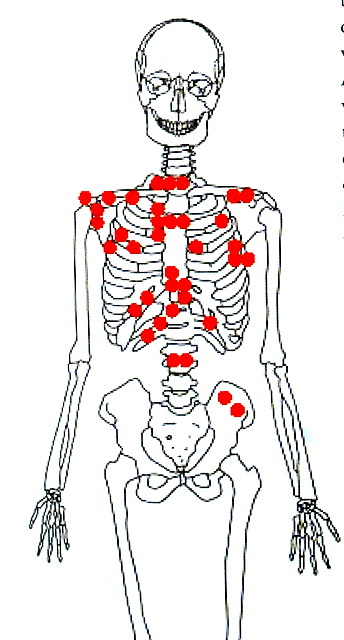 These were subsequent analysed by osteologist Dr Linda Fibiger and variety of pathologies were identified. However, one burial stood out. This was the remains of a young man, who was aged between 26 and 35 at time of death. He had been buried sometime around AD 400 to 600 and the cause of his passing was clearly evident on his bones. He had been brutally slain with a sharp bladed weapon, most likely a sword. At least 110 blade marks were evident on his torso, indicating that he had suffered a frenzied and prolonged attack. The man had been stabbed multiple times and it appears that the assault continued well after he had fallen to the ground. The scale of the damage inflicted on the man’s body was striking and it went well beyond what was necessary to kill him. ‘Heroes were slaughtered, and bodies were mutilated…..the Leinstermen were killed, slaughtered, cut off, and dreadfully exterminated‘. Whatever the reason for the young man’s bloody demise, it appears that at least in death his body was afforded some respect. It had been carefully gathered up, most likely by his friends or relatives, and then buried according to Christian tradition in a what was probably an ancestral cemetery in Raystown. The tradition is that everyone who has pricked in corpse have a responsibility for the killing. Ah poor guy! What a way to go. Amazing what you can tell from looking at the bones so many hundreds of years later. Now we know something about this young man and feel compassion for him and those who cared for his body, but his long-dead attackers are only known from their brutality. When and if our future civilizations will examine us (in the far hypotesis this will be possible) they will see how much the proliferation of guns and the use by people unstable with their head has provoked useless deaths summing up to the ones that come for disease like cancer and other ilnesses. They will be able to study where the people die and what is the “reason” of it. This is when people go mad.